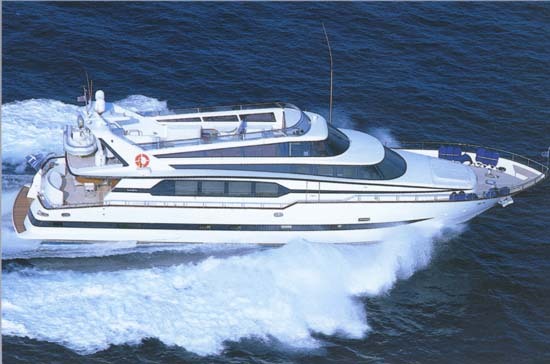 SEA U is a TECNOMARINE, built in 1995, with one large master cabin with ensuite bathroom, and walk in wardrobe /dressing room, one large VIP cabin with ensuite bathroom, one double cabin with ensuite bathroom, and finally one twin cabin with Pullman birth and ensuite bathroom. On the fly bridge there is Jacuzzi, tub, fridge, icemaker and BBQ available. 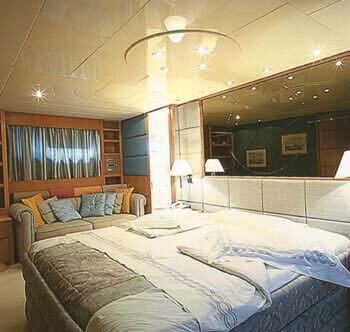 ACCOMMODATION:Large Master Cabin with ensuite bathroom, walk-in wardrobe/dressing room. 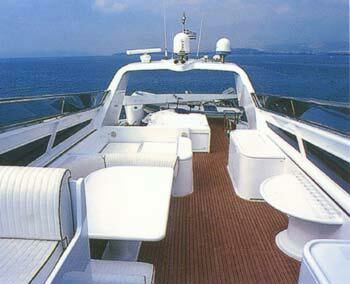 Large VIP cabin with ensuite bathroom. 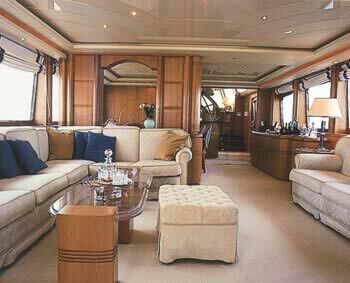 1 Double cabin with ensuite bathroom, !twin cabin (&pullman berth) with ensite bathroom. 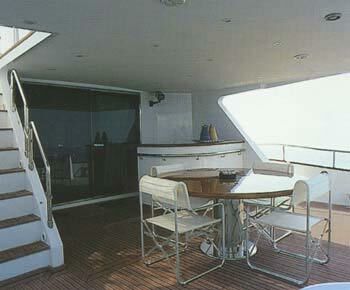 Day WC on main deck. 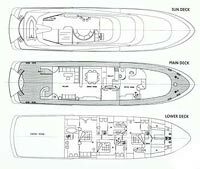 Crew: 4separate quarters forward. 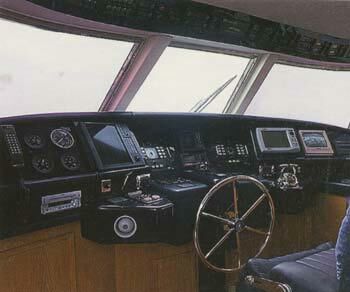 RECREATION: Saloon:TV LCD, TV Satellite system, DVD, VCR, MIDI system.